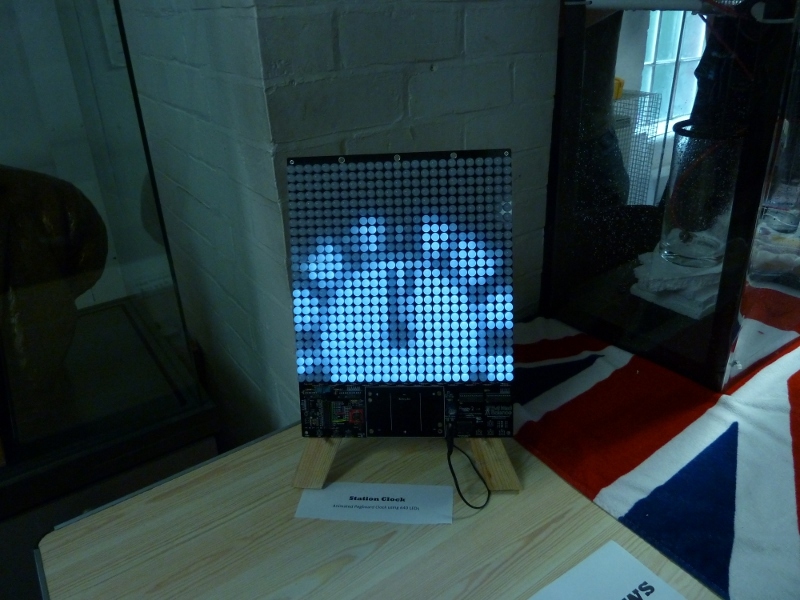 Evil Mad Scientist, who make the Peggy 2 LED board ran a competition to design a clock using the Peggy. I proposed a subtly moving view of an analogue clock (borrowed from Victoria station in London) that follows the minute hand but shows enough of the face to see the hour hand too. I won the Peggy with my design, so decided to implement it. It took me far too long to get it going but I have a sparkfun RTC DS1307 (dropping 5 minutes every month, avoid!) telling the [arduino compatible] onboard atmel the time. The code and image are all held in the IDE’s compilation of my probably pretty inefficient code, and it is on the limit of not working; One more variable and the stack hits the heap and it stops working. Any chance of you releasing the code for that? I’ve got a peggy 2, and would love a clock! Have voted! Good luck, and thanks for agreeing to post the code. 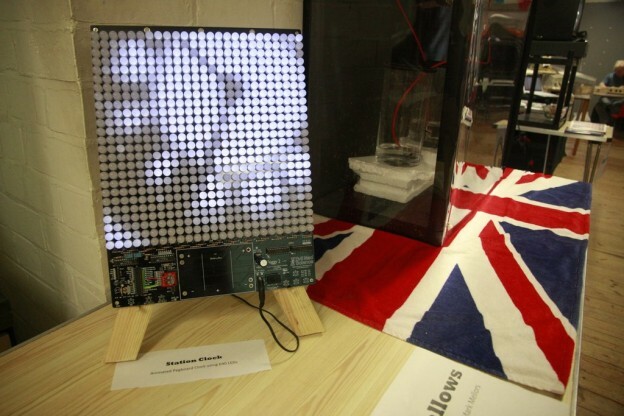 Any luck getting the code for the Pegboard Clock? I would really like to get this great code running again. I totally failed to reply when I dug this out, sorry for that. 1. This code has been rescued from my old laptop that suffered a hard drive failure. I found it on an old USB key, so I can’t guarrentee it is the latest (or even a working version) and I haven’t got a working cable to test it on Peggy. 3. My code is not great, I’m a mechanical engineer and arduino is just a hobby. I’ll try to be more responsive in future, sorry again for the wait. Many thanks. Will let you know if I am smart enough to get it running again.